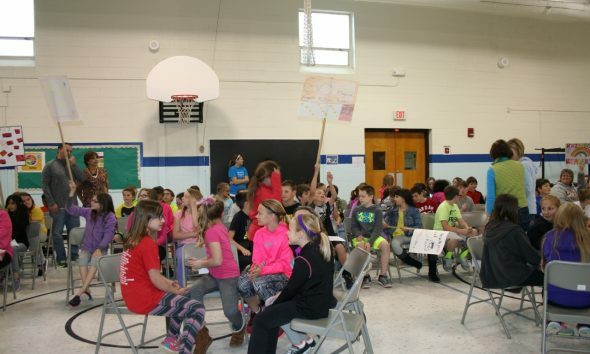 On Friday, April 29th, six teams of students participated in the 7th Annual Table Mound Battle of the Books. Students formed teams of five, then read and often re-read the 2016 Iowa Childrens’ Choice Books (twenty books in total this year). They memorized book titles, authors, and details about each book such as setting, characters, and events. On Friday, they competed against each other using their knowledge to determine a winning team that will go on to compete against other teams in the district battle. The District Battle will take place at Bryant Elementary this year on Friday, May 20th. 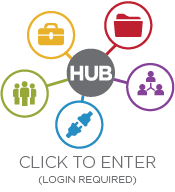 Congratulations to all participants! 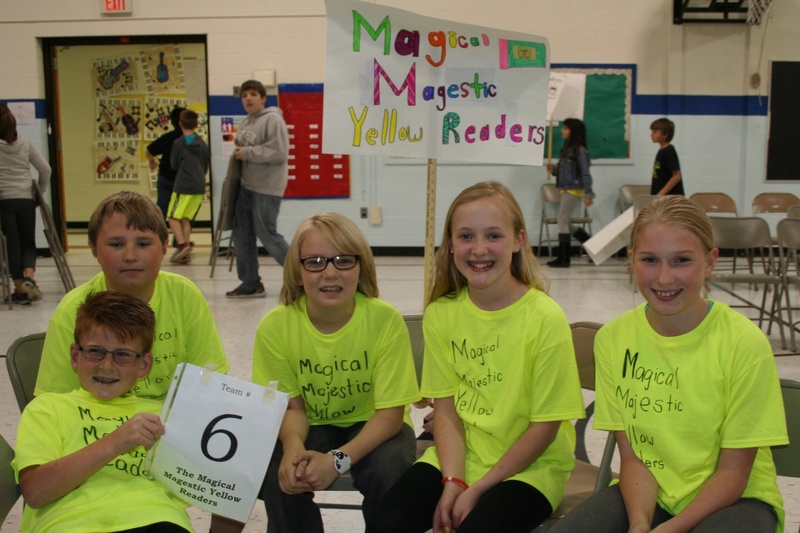 Good luck to our winning team, “The Magical Magestic Yellow Readers”, as they proceed to the District Battle. 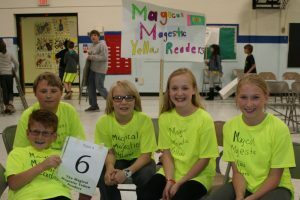 They will be accompanied by the 2nd Place team, “The Reading Warriors”, to cheer them on.